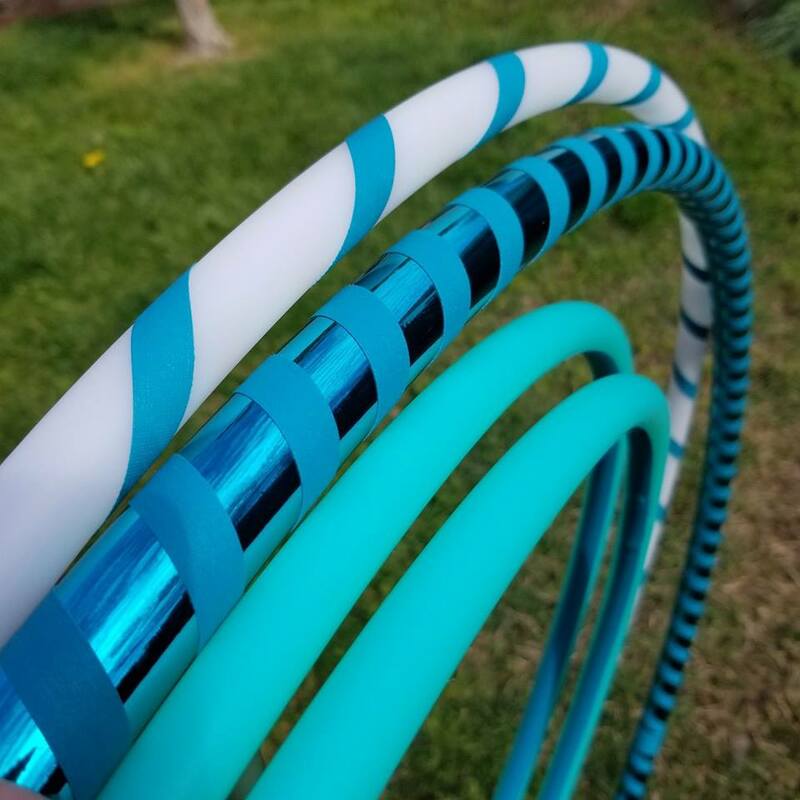 We specialize in getting you into the perfect hoop for your unique body. 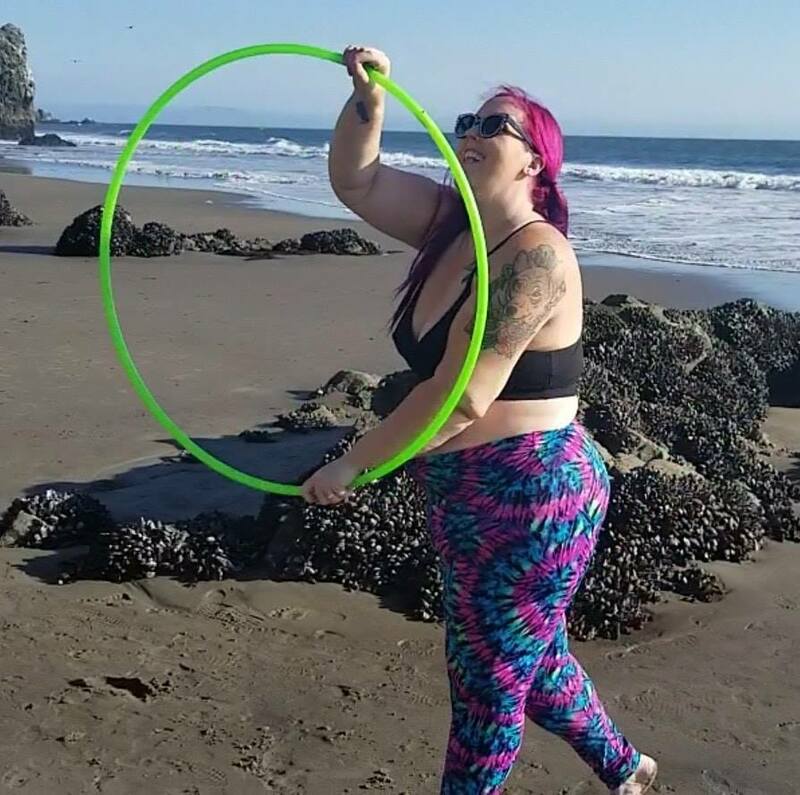 When starting out, getting the right hoop is super important to ensure that your first experience in hula hooping is positive. We want you to fall in love with hula hooping and feel all of its benefits. If the hoop you get is too small, it will be frustrating. We provide a quick size guide to help you easily choose the correct size hula hoop. 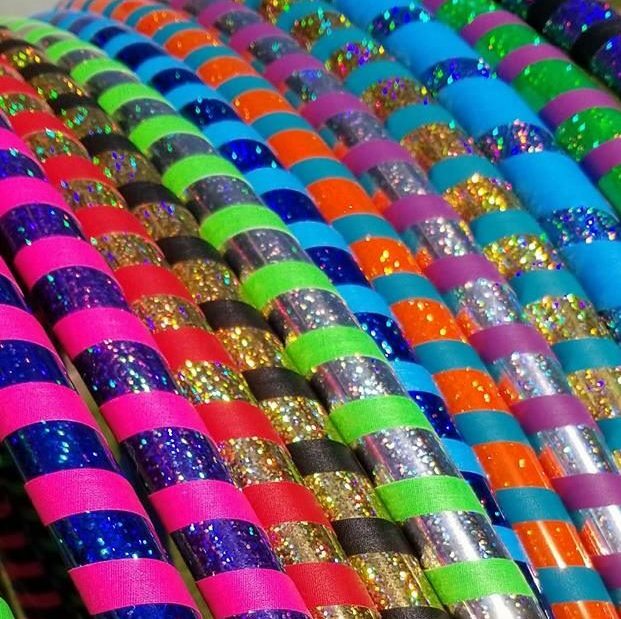 Beginner Hula Hoop – Best option for those on a budget. You get a beautiful, hand-made hula hoop in the perfect size for you. Go Getter Hula Hoop Starter Pack – Really nice package of 4 hoops for those of you who want to start your journey out with a range of hula hoop sizes, customized for you. 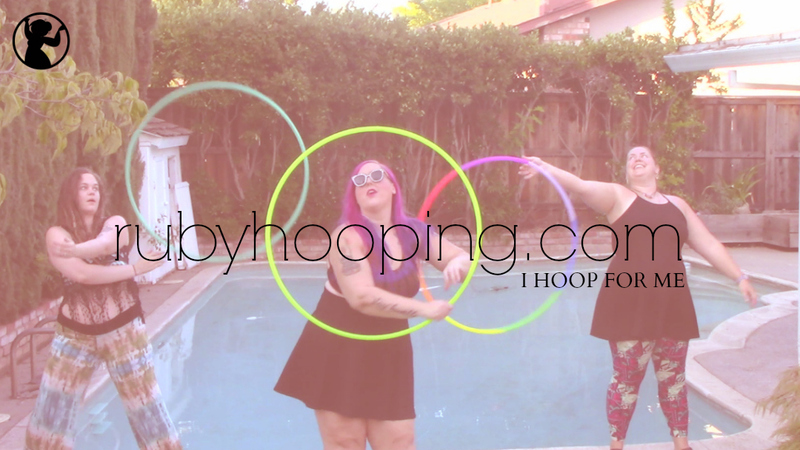 It comes with a big hoop for all your on-body training such as waist and shoulder hooping, a medium sized hoop great for learning tricks both on and off-body, and a set of mini hoops for twin tricks! To read our in-depth article about getting started hula hooping, click here. 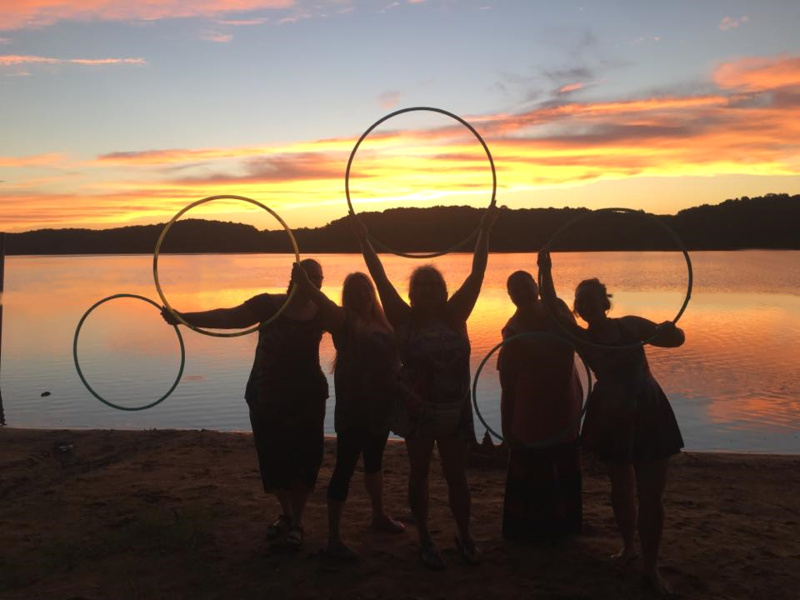 Start your journey off right with our Six Week Beginner Hula Hoop Challenge for All Bodies! Hoop dance will CHANGE YOUR LIFE and I am sooo ready to show you all the ways. No matter how you feel about your body right now, I am going to take you on a magical journey of self love and growth that will leave you breathless. A simple circle is the key to everything. Learn all the foundation moves of hula hooping, tons of amazing tricks, and how to find your own unique flow in my six week course. You’ve NEVER experienced a workout like this before. Sign up now to get our introductory price. For a limited time we are offering a super low price if you buy the Go Getter set with the Six Week Course! Join the #rubyfam and never look back. You aren’t just getting a hoop or a class. You’re getting an entire family of hoop sisters and brothers who want to take you as you are and grow together as a community and as individuals. 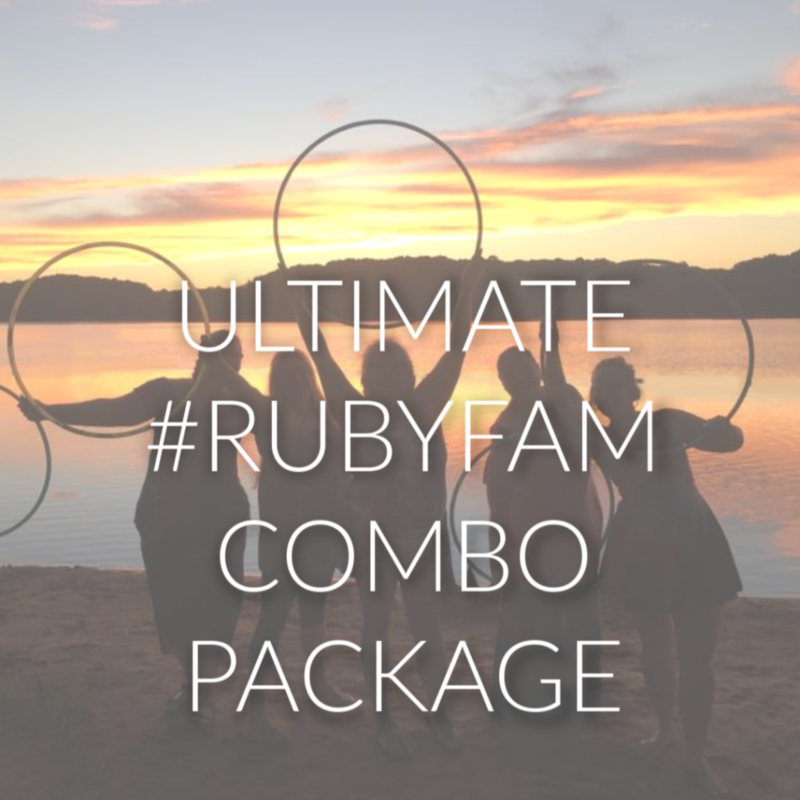 Follow the hashtag #rubyfam on Instagram and join our close-knit Facebook group Ruby Hoopers to share your hoop journey with us.